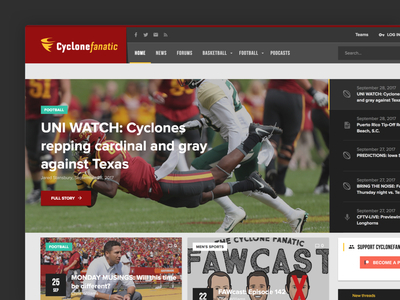 An online community of the most loyal and passionate fans of the Iowa State Cyclones that you will ever find. 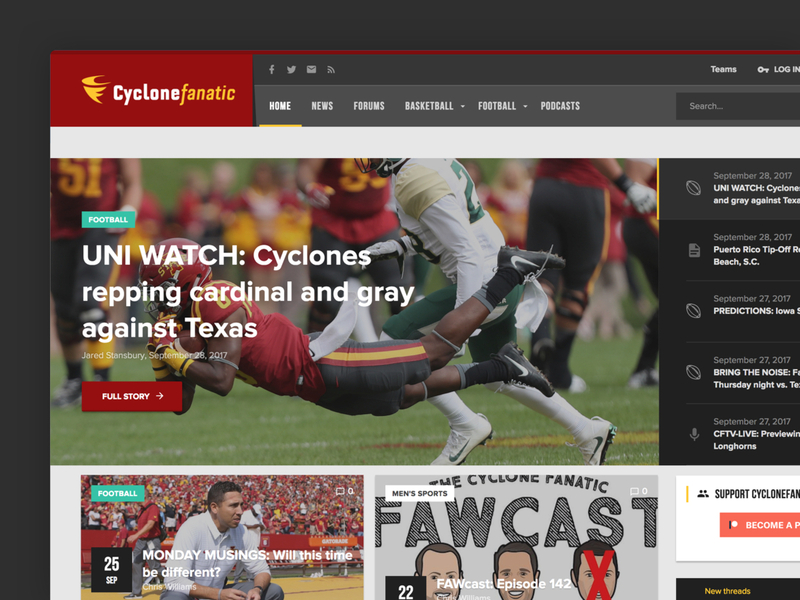 CycloneFanatic came to us wanting a sleek sport-related design update to their current website that featured a forum as well as news and podcasts. Along with a website refresh, they needed a modernization to their non-retina friendly logo which we re-vectored and updated the logotype to be more modern.